Are you as excited as we are about Once, the second book in the dystopian romance series that started with Eve? 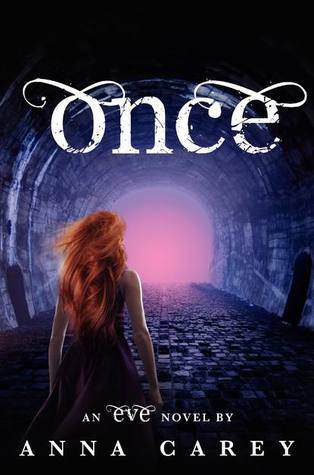 We had the opportunity to sit down and chat with author Anna Carey in advance of Once's publication and hear all about her favorite characters, her experience going from middle grade to YA, and more. We had an absolute blast talking with Anna, and hope you enjoy the interview! Be sure to visit http://annacareybooks.com/ and get to know this fabulous author. Hosting courtesy of archive.org. Intro music by 46bliss. Our song pick for this podcast is Ingrid Michaelson's "Be Ok." Special thanks to our sound engineer Marc Conrad Tabula for his editing skills. Please subscribe to Authors are ROCKSTARS! on iTunes so you'll never miss an episode! Looks like a must read story. A kind of story that is really a page turner. The plot and characters are great. I am going to enjoy reading it.